Spring is coming and that brings a holiday we all love called Easter. My kids love to get out and play in the Spring. 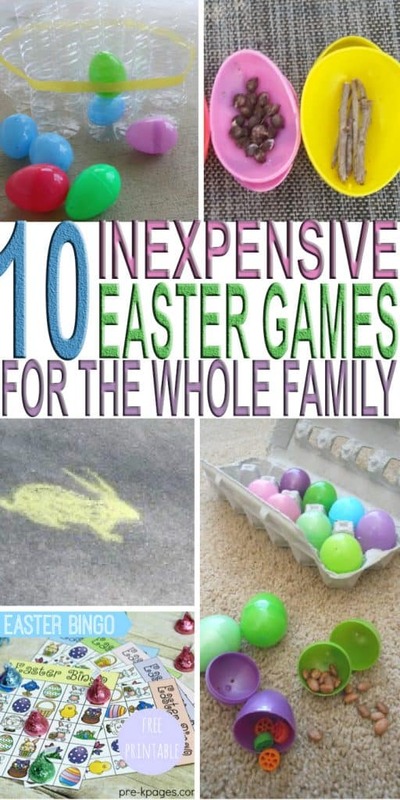 I wanted to find some fun, inexpensive Easter games for the whole family to enjoy while we celebrate Easter. 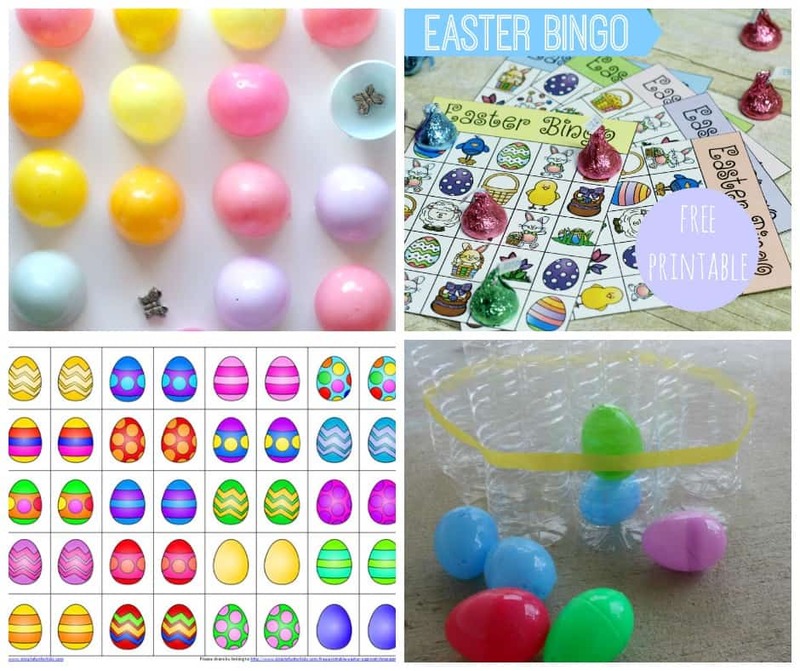 These are simple easter games for the family that can be played from toddler to adulthood. 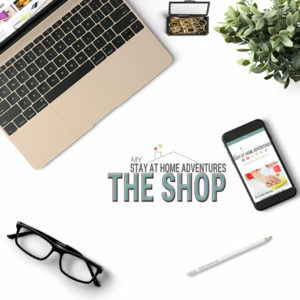 Most of the games are played with items you already have around your house or yard. 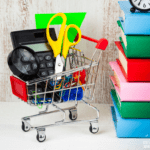 These games will help you stick to your budget! This DIY Memory Game will keep your kids occupied for sure. Searching for under those eggs for the prize is just addictive! Everyone loves bingo and this Printable Bingo Game is adorable. Use Easter candy as the prizes and you are set. Playing this Easter Egg Toss will get your whole family moving. Great way to pass a Spring afternoon. Easter Egg Matching is a great game to play when you have a cold or rainy day. These eggs are so colorful! How about a fun Easter Egg Matching SOUND Game? How fun is this game and it is easy to get creative with what you put into the eggs! 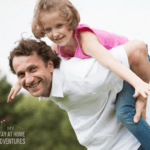 Hopping with Easter Bunnies is a fun game that will get the kids outside and active. 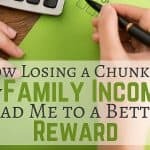 It is also very easy and inexpensive to do! I Spy an Easter Egg is such a fun way to pass the time. It also includes a free printable and is a fun learning game. 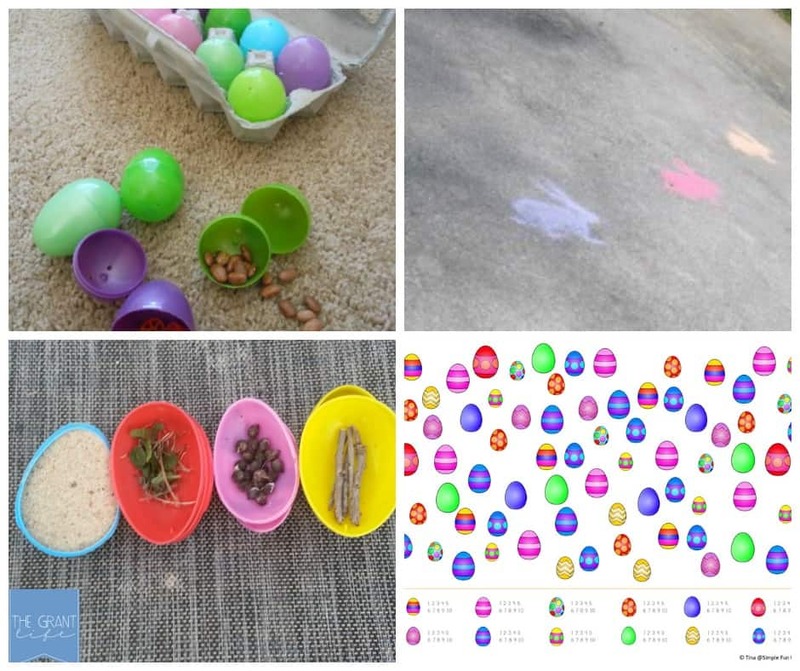 A Reverse Easter Egg Hunt is a really creative way to play in the yard or the house. It is so fun to see what kids find to fill their eggs. I love this Easter Egg Basket Match Game. It is perfect for toddlers and is played indoors on those cold Spring days. 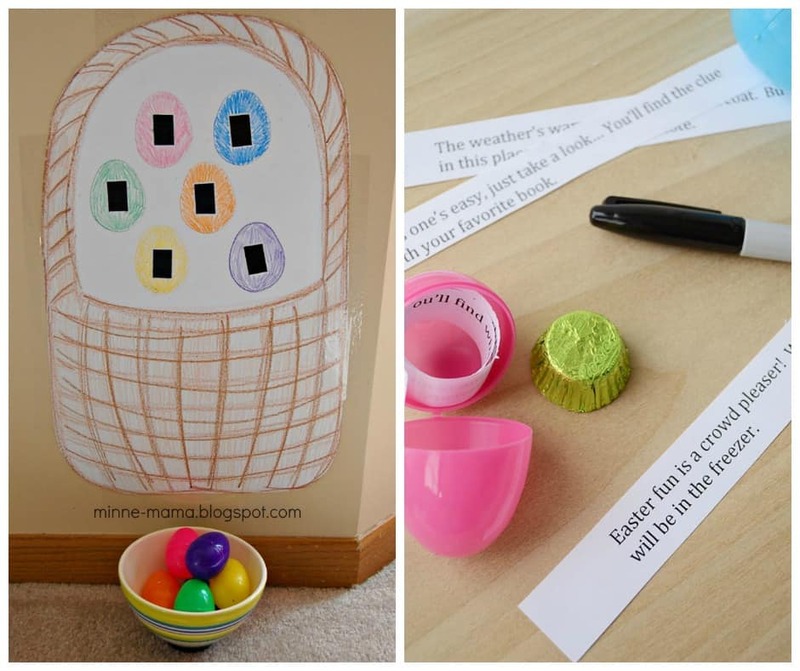 An Easter Egg Scavenger Hunt is fun for the whole family. The perfect way to get creative and competitive too! Which Inexpensive Easter Game is Your Favorite? I have a hard time deciding which inexpensive Easter game is my favorite. They are all a blast and playing with my kids always warms my heart. Showing children that they don't need expensive games or gadgets to have a good time is priceless! Which game is your favorite? Very creative. I’m sure the kids will have a blast.